Resolution – This determines how clear the picture is, and can affect how well your camera can zoom into something without that something getting blurry. Field of View – Depending on how wide of an area you want to see, different cameras offer different fields of view. Location – Where you want to set or mount your camera will determine what kind you can get, since an outdoor security camera will need to be much more durable than an indoor one. 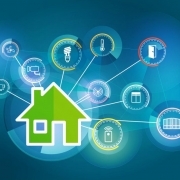 Connection – If you already have a smart home, you’ll want a security camera that integrates seamlessly with your current setup. Otherwise, you can find one that allows you to access the footage from anywhere. Storage – Today, most security cameras utilize cloud storage to save your video footage. How long you want to keep your footage for and how much you’re willing to pay for it will help you choose a camera. Detection – Different security cameras have various levels of detection that may send alerts every time there’s movement or only when it detects a face it doesn’t recognize. Cost – When choosing a security camera, you not only have to think about the initial cost of the camera itself but also of the ongoing cloud storage fees. What we like about the Netgear Arlo Pro is its sharp HD video, IFTTT support, integration with smart homes, geofencing support, rechargeable batteries, sound- and motion-activated recording, easy installation, weatherproofing, and free cloud storage. What we don’t like is that it requires a hub although this is included, or that it’s a bit pricey, but we also think the free cloud storage helps balance out initial costs. 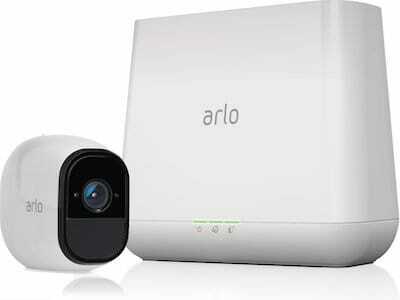 All of these features and more are what have landed the Netgear Arlo Pro at the top of our list. What we like about the Icontrol Networks Piper nv is that it offers HD video with great details, excellent night vision, Z-wave device integration, two-way audio, and pan, tilt, and zoom functions. The only things we don’t like about it is that it doesn’t have a web app or local storage options. However, because of its ability to double as a home automation hub and iOS and Android apps, we’ve placed the Icontrol Networks Piper nv in the second place on our list of the best security cameras in 2017. What we like about the LHC5200WI is its HD videos, ability to control Z-Wave devices, ADT Canopy monitoring options, and unique design that allows you to hide it in plain sight. What we don’t like is that you do need to have a cloud storage subscription to view your videos and a canopy subscription for some features. 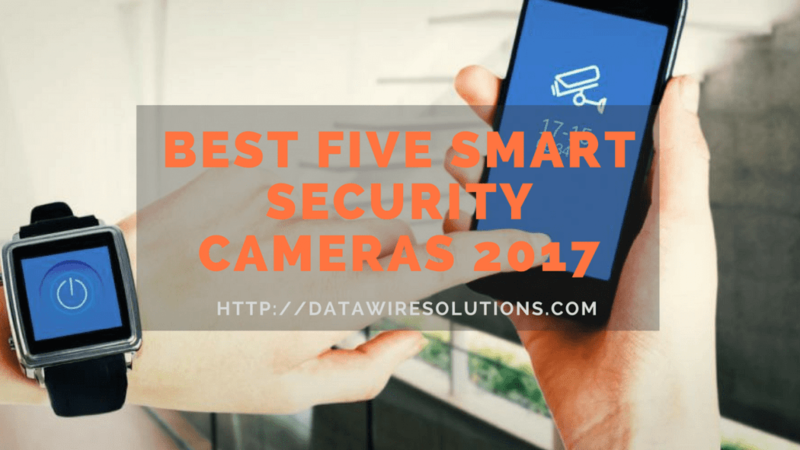 However, since the LHC5200WI’s subscriptions are contract-free and the camera comes with so many features, we still put it in third place on our list. What we like about the Nest Cam Outdoor is that it offers excellent video quality, is weatherproof, works with many smart home devices, and provides two-way audio, email alerts, and motion and sound detection. What we don’t like is that it requires a subscription plan for some of the features, is a bit pricey for what you’re getting, and needs a power supply. 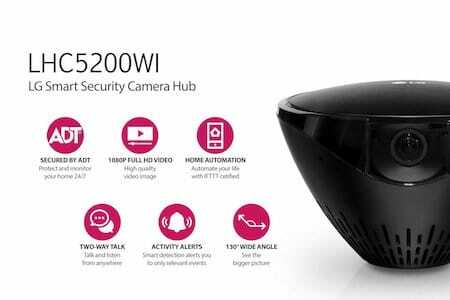 But, if you’re looking for a great outdoor security camera, the Nest Cam Outdoor could be the one for you. What we like about the Canary All-In-One Home Security Device is that it has 1080p video quality and outstanding night vision capabilities, is easy to install and monitors the air quality in your home. We don’t like that it requires a high-priced cloud storage subscription to view more than the last 12 hours of footage and has no local storage options. 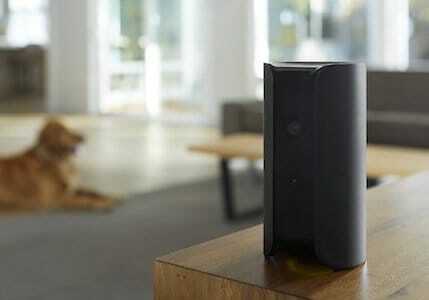 But if you’re looking for a way to monitor humidity, temperature, and air quality while keeping an eye on your home, the Canary may be the security camera for you. Thank you for reading, Data Wire Solutions is an audio visual company serving customers in Westchester and Fairfield County, if you have any question, comments or would like to schedule a consultation please don’t hesitate to drop us a line or leave us a comment below.